September is a busy time of year for all of us. Our schools are back in session – students and teachers around the state are hard at work – expectations are high. And we are charged with the responsibility of continuing our work to make sure they have all the right resources they need to achieve their goals. We’ve made some very big, very fundamental improvements in the last year – not because schools are doing poorly – but because of the way our economy is changing, and because the demands on our students are so much higher. From new academic standards to a whole new approach on assessments to modern facilities – there has never been a more exciting time for education in California. There is however one simple fact that negatively affects the progress we strive to achieve – absenteeism. A child who misses just one day of school a week is a whole grade behind his or her peers by the time they reach middle school. And do you know what the most predictive indicator is that a student will not graduate from high school? Chronic absence in sixth grade. Research shows that when children miss too much school – for any reason – they are at risk of dropping out. Students who are chronically absent in kindergarten and first grade are much less likely to be proficient readers and only 12 percent of students who are chronically absent in kindergarten and first grade read proficiently in third grade. These young kids go on to have high levels of suspension and lower academic achievement in middle school. Those are some alarming facts and the crisis only gets worse when schools lose funding for every empty seat. Though we have done some tremendous work together – there is plenty more yet to come. Partnership here is paramount. All of us – electeds, teachers, parents, business and community leaders – have a role to play. Our aim is to offer technical assistance and promote early identification and prevention efforts to help students who may be at risk. By identifying and addressing chronic absence issues early, we give students a far greater chance of success. That’s why raising awareness about absenteeism is so important. Our schools can have the very best facilities, materials, and teachers in the world – but no school can reach a child who simply isn’t there. I’m enthusiastic of all the great things happening in California and I remain optimistic that we are moving in the right direction, but the fact remains that we must keep moving to ensure that every student receives a world class education – ready to enter the world outside the classroom with the skills they need to contribute. I want to thank you all for your efforts and I encourage you to continue everything you’re doing to make our future shine even brighter. We are all in this together. 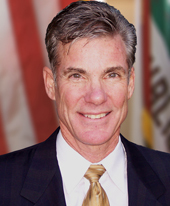 Tom Torlakson is California’s 27th State Superintendent of Public Instruction. In this role, he oversees California’s public school system and leads the California Department of Education.